Reviewed by Robert M. Parker, Jr. 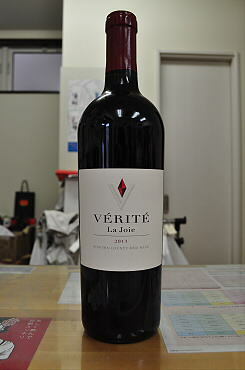 The 2013 La Joie, which is 46% from Knights Valley, 32% from Chalk Hill and 22% from Alexander Valley, is a blend of 71% Cabernet Sauvignon, 16% Merlot, 8% Cabernet Franc and 5% Petit Verdot. Showing loads of graphite, cedar wood, charcoal, creme de cassis and forest floor, this may well turn out to be a 50+-year wine. It tastes like a great first-growth Pauillac and has an amazing amount of complexity and richness. The 2013 La Muse, like all of the 2013s, comes about one-third from Alexander Valley vineyards, 40-plus percent from Chalk Hill, and the rest Knights Valley and Bennett Valley ? all high-elevation hillside vineyards. A blend of 89% Merlot, 8% Cabernet Franc and 3% Malbec at 14.3% alcohol, the wine is amazingly like a great vintage of Petrus, with mulberry, black cherry, licorice, truffle and unctuous, thick, juicy fruit all present in this full-bodied masterpiece. The tannins are still present. 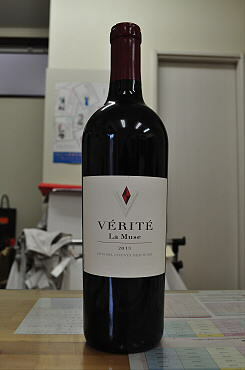 The wine has purity and savory presence and is remarkable. The finish goes on for well past a minute. This wine would probably benefit from 5-8 years of bottle age and last 40-50 years. 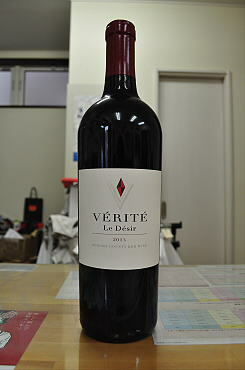 The 2013 Le Desir represents 2,500 cases. This is the softest of the three wines in 2013, and this blend of 61% Cabernet Franc, 23% Merlot, 11% Cabernet Sauvignon and 5% Malbec emerges with more than half of the cuvee coming from Hillsides in Alexander Valley, 37% from Chalk Hill and the rest tiny dollops from Bennett Valley and Knights Valley. Opaque purple, like its siblings, the wine is showing incredible floral, blueberry and espresso notes, exotic Asian spices, velvety texture, a supple, multilayered mouthfeel and incredible finish, with incense and licorice. This is magnificent young wine, with a good 40-50 years of upside potential. Pierre Seillan is justifiably proud of what he has achieved, and his first vintage of Verite was only 1998, but they go from strength to strength.